Louis Vuitton owner LVMH on Wednesday set a high bar for rival luxury goods companies all trying to capitalise on Chinese demand for high-end handbags and clothing, as sales growth at the conglomerate picked up pace in the first quarter. Some luxury manufacturers are struggling more than others to hold onto their all-important Chinese clients, who make up over a third of industry sales and are increasingly spending on high-end wares at home rather than overseas. LVMH – which cited a “buoyant environment” at the start of the year and said all regions were experiencing “good growth” – has been one of the big beneficiaries of thriving appetite among younger Chinese shoppers for branded goods. It did not break down its performance by country on Wednesday, with more details due on a Thursday conference call with analysts. But it had previously flagged enduring demand in China in the first weeks of January, even against the backdrop of a slowing economy. The French conglomerate, which owns other labels like Christian Dior in fashion or Krug in champagne, was boosted by a strong performance in its leather goods unit, while sales of spirits like cognac improved from a quarter earlier. Group revenues rose 16 percent to 12.5 billion euros (10.77 billion pounds) in the period, up 11 percent on a like-for-like basis, which strips out currency swings and the impact of acquisitions or disposals. That beat analyst forecasts and marked an acceleration from the 9 percent growth notched up a quarter earlier. Its performance bodes well for peers who derive much of their profits from high-margin handbags, and which have also proved a hit with consumers in recent years, like Kering’s Gucci or Birkin bag maker Hermes. Yet the gap is also growing among brands benefiting from a strong presence in mainland China, and those trying to catch up there as the Chinese government looks to fuel more domestic spending by cutting VAT or import duties. Jeweller Tiffany has flagged a spending slowdown among Chinese tourists in the United States, while Prada noted a slowdown among this clientele in Hong Kong in the fourth quarter, as the weaker yuan and the backdrop of a Beijing-Washington trade war also took its toll. 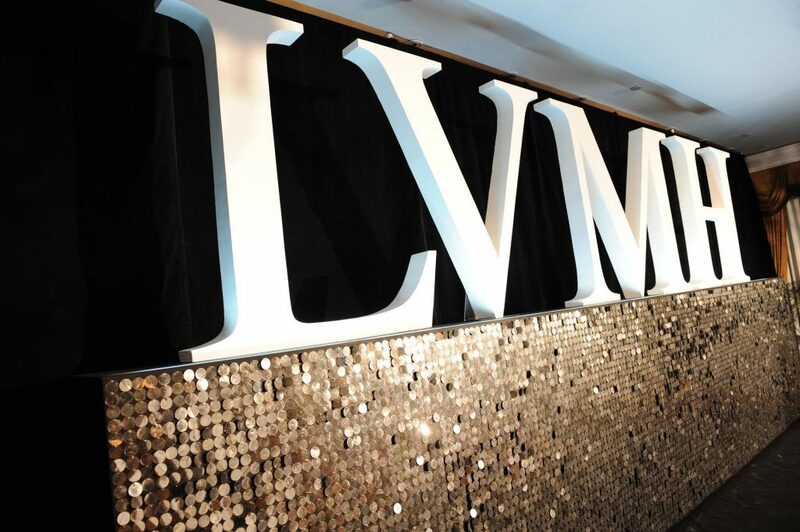 LVMH shares closed up 2.45 percent on Wednesday before the results were published, at 329.8 euros per share – just shy of a recent record high of 337.5 euros hit earlier this month.